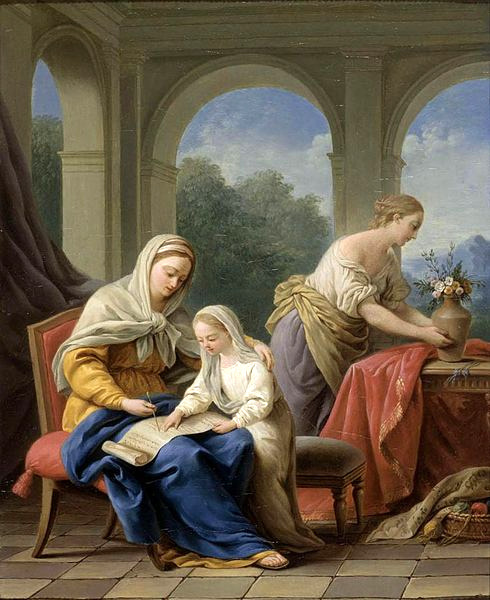 In 1755 he became a member of the Royal Academy, presenting as his diploma picture the Abduction of Deianira (Louvre). 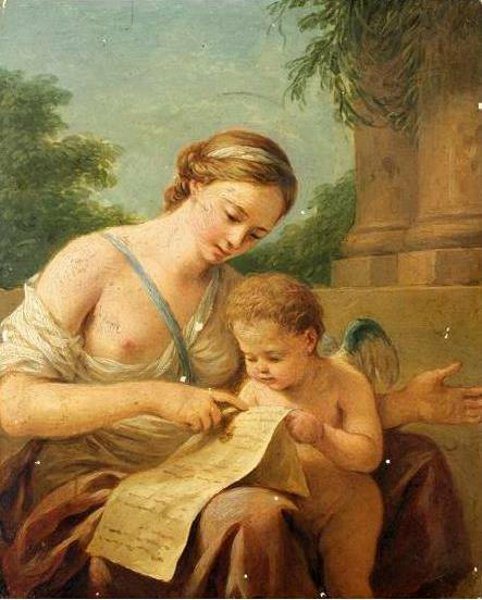 He visited Saint Petersburg at the call of the empress Elizabeth, and on his return was named in 1781, director of the French Academy in Rome, a position he kept until 1787. In 1804 Napoleon Bonaparte conferred on him the cross of the légion d'honneur. 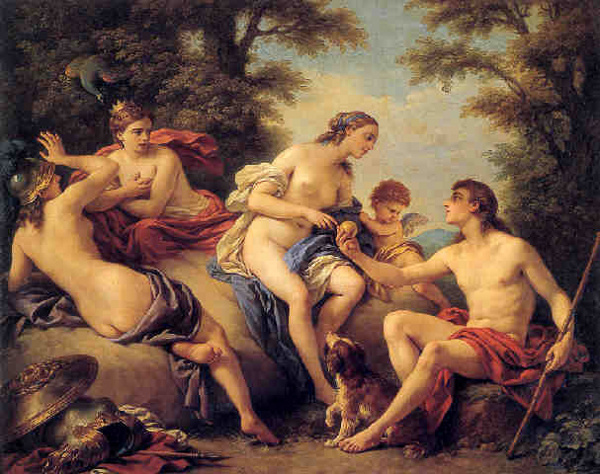 On June 19, 1805 he died in the Louvre, of which he was honorary keeper. The following is a faithful photographic reproduction of an original two-dimensional work of art. Please click on the photo to enlarge. 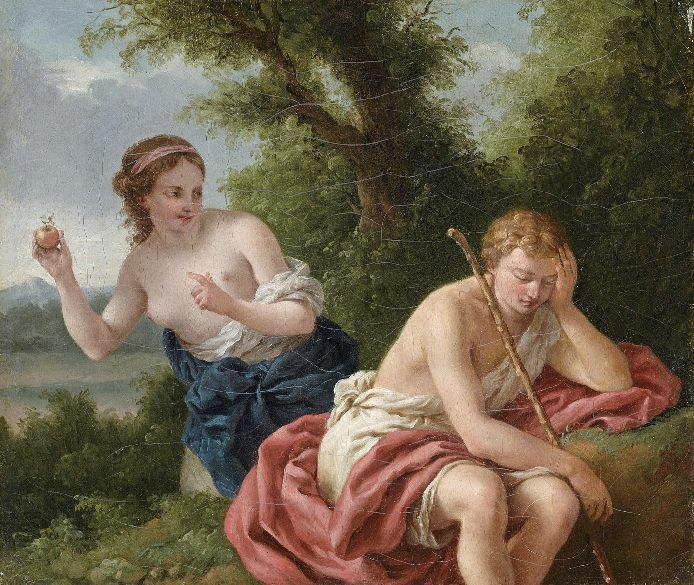 Pygmalion and Galatea. 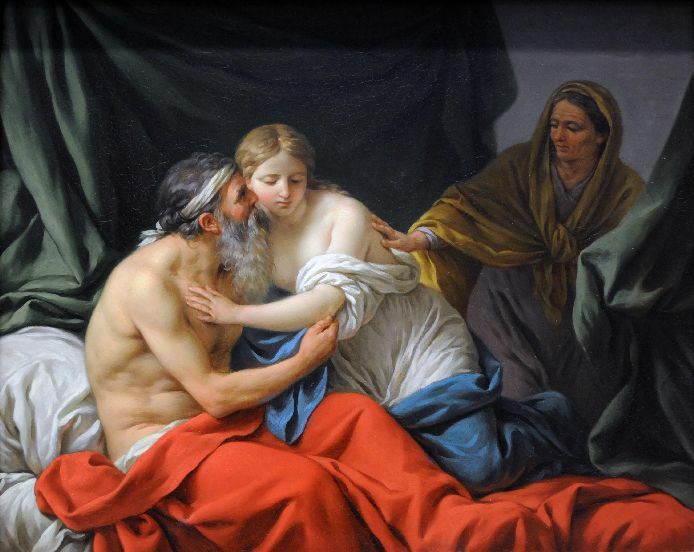 Oil on canvas, 1781. 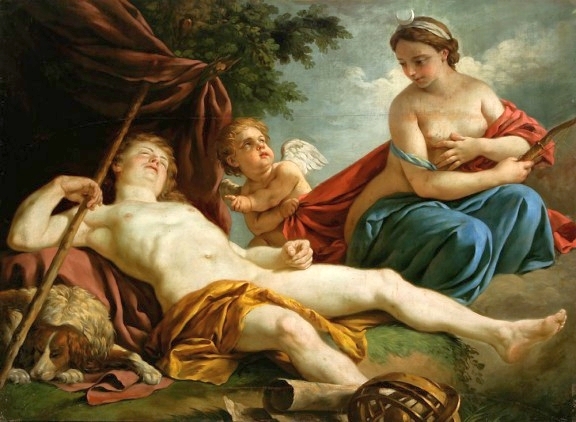 Mars and Venus, Allegory of Peace. 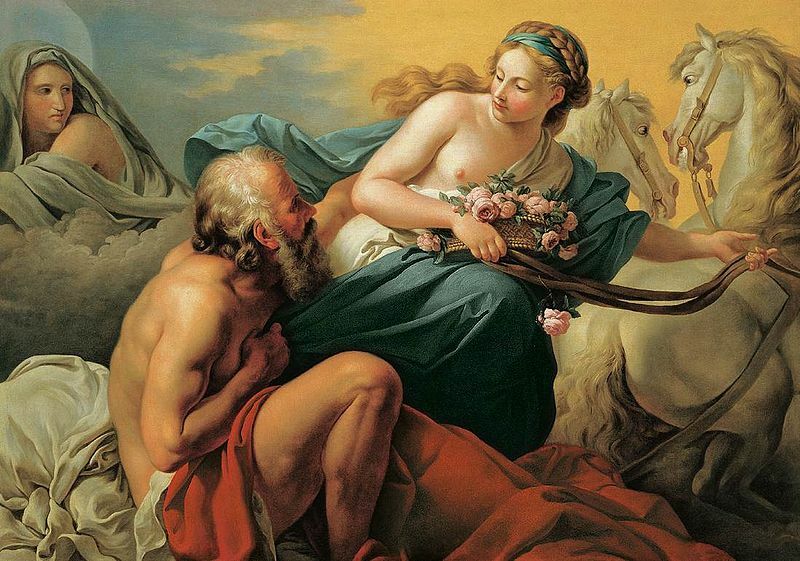 Oil on canvas, 1770. 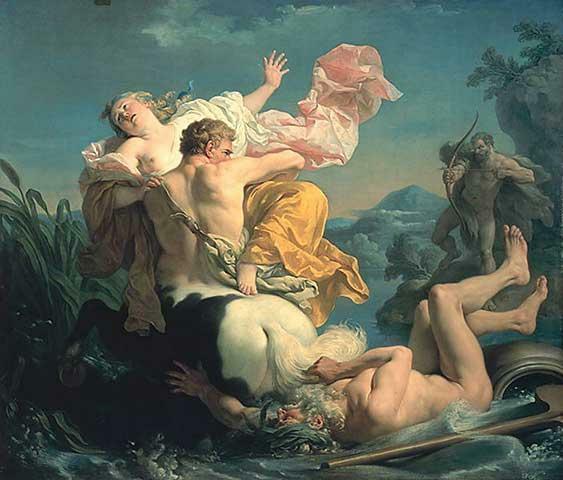 The Abduction of Deianeira by the Centaur Nessus, 1755. Oil on canvas painting. 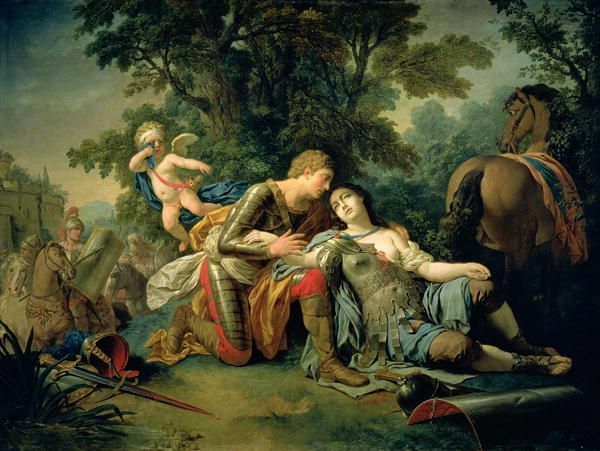 Rinaldo and Armida. Oil on canvas. 1766. 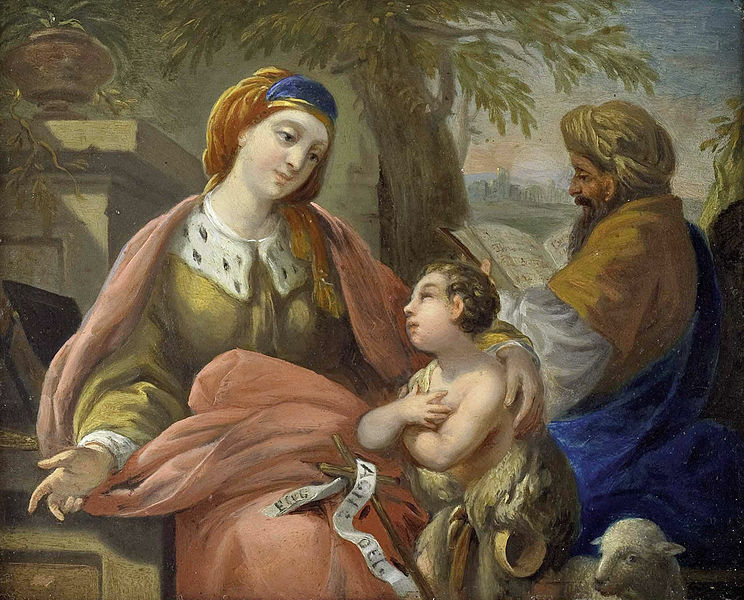 The Education of the Virgin. Oil on canvas. Circa 1772. 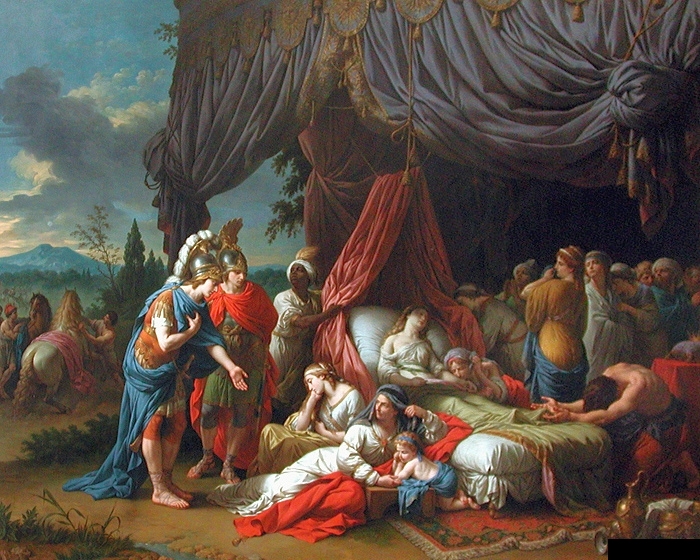 La mort de la femme de Darius (The Death Of Darius Wife). Oil on canvas. 1785. 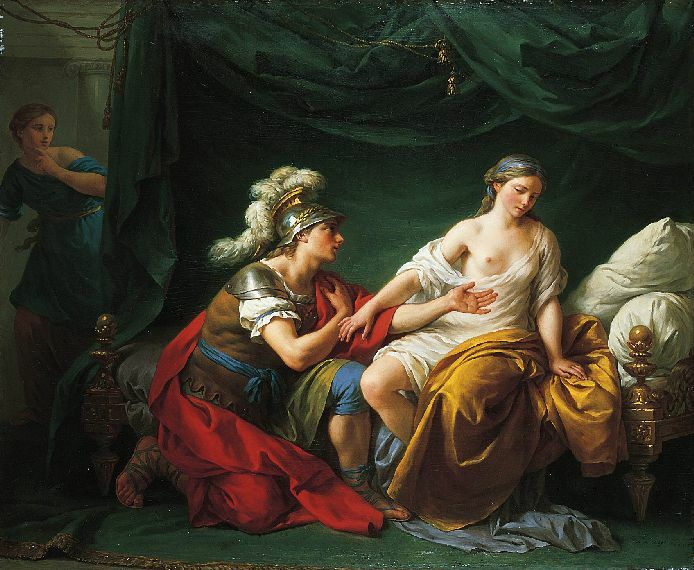 Alcibiades On His Knees Before His Mistress. 1781. 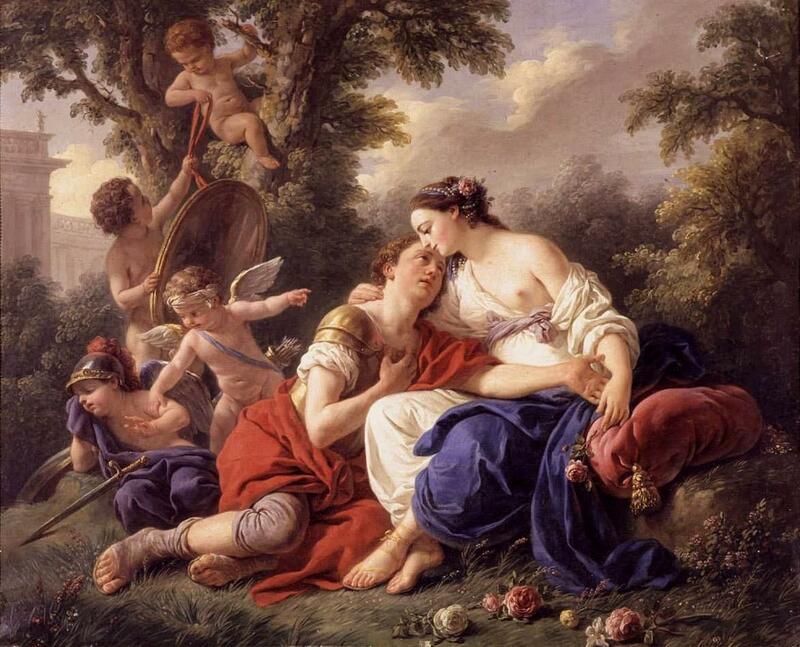 Diana and Endymion. Oil on canvas. 1776.